You already know they are different in so many ways, especially as you raise twins, triplets and more. Science has proven beyond a doubt, however, that boys and girls are VERY different! While every child is on his own developmental trajectory, knowing about gender-specifics can help you sort out what is ‘hard-wired,’ what are family traits, and what is your child’s own unique approach to life. 1. NON-VERBALS: You may have heard that newborn girls prefer faces and newborn boys prefer moving objects. Girls continue to have the advantage through adolescence of being able to read facial expressions and picking up on non-verbal cues with more ease. TAKEAWAY: If you want your son to interpret your meaning accurately, use concise and precise language, rather than crossed arms or a raised eyebrow. More about body language HERE. 2. CRYING: Boys and girls (and men and women) cry very differently. There is the cultural overlay of ‘boys don’t cry’ but biology also plays a role. Males tend to have larger tear ducts allowing the liquid to pool and eventually drain away rather than pushing out and falling down the cheeks. TAKEAWAY: Recognize that emotions are still present even if there are no tears. Help him find words to describe his feelings. This may take lots more time than with your daughter. More about crying HERE. 3. HEARING: Boys tend to prefer lower, louder sounds. Boys hear a narrower range of sounds than girls. If you are a soft-spoken mom or teacher, he may actually not be hearing you. You already know kids tune out yelling early and often. TAKEAWAY: Make sure to get his attention with a physical touch or gesture before you speak. More about hearing HERE. 4. TOUCH: Touch is bonding for both boys and girls. However, boys tend to prefer touch as a primary way to learn and connect. Boys crave wrestling, elaborate handshakes, and taking things apart. 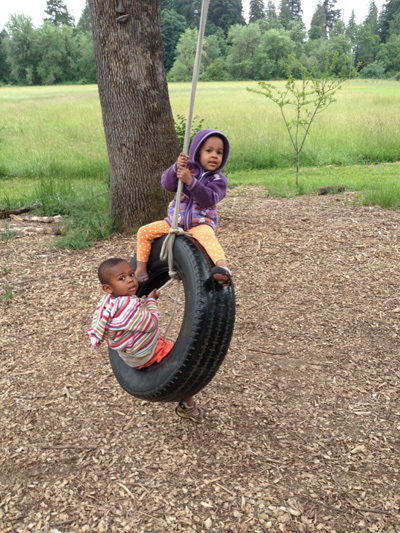 Boys tend to be more active learners, interacting with their surroundings in a bigger way than girls. TAKEAWAY: Make sure to provide plenty of hands-on learning experiences. Make sure he gets lots of physical time every single day! More about touch HERE. 5. TASTE: Boys tend to prefer strong flavors. He loves the sweetest of the sweet and the sourest of the sour. Girls have a stronger ability to distinguish between flavors. And, just when so much else is changing for them – teen’s taste preferences change too. TAKEAWAY: Help him develop his palate for a wide variety of flavors and recognize that he may just prefer bagels and cream cheese always. More about taste HERE. Gender differences are fascinating. While every child is different and multi-faceted, when you observe them with gender in mind, you may be more understanding and patient – and don’t we all want more of that?! Learn more about Gender Differences and how to Parent with Heart. 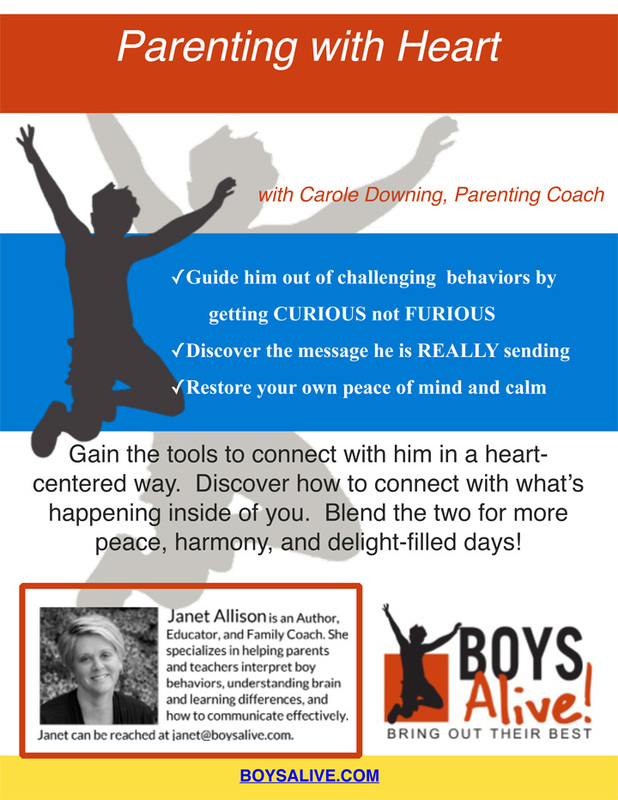 Join Janet Allison, Founder of Boys Alive! and Carole Downing, Parenting Coach on July 26th in Portland. This 3-hour seminar will, as one dad said, “Get you fired up!” about parenting ALL of your children. Book your seat here.